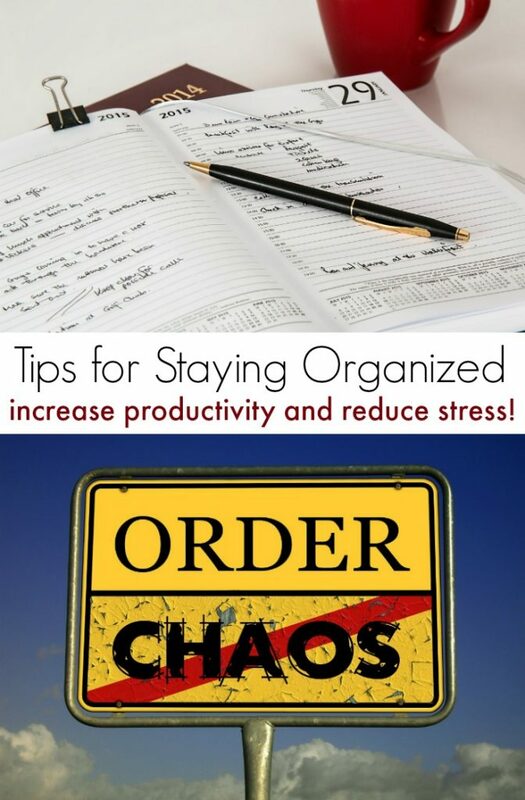 One of the best ways to increase your stress level is to be unorganized. 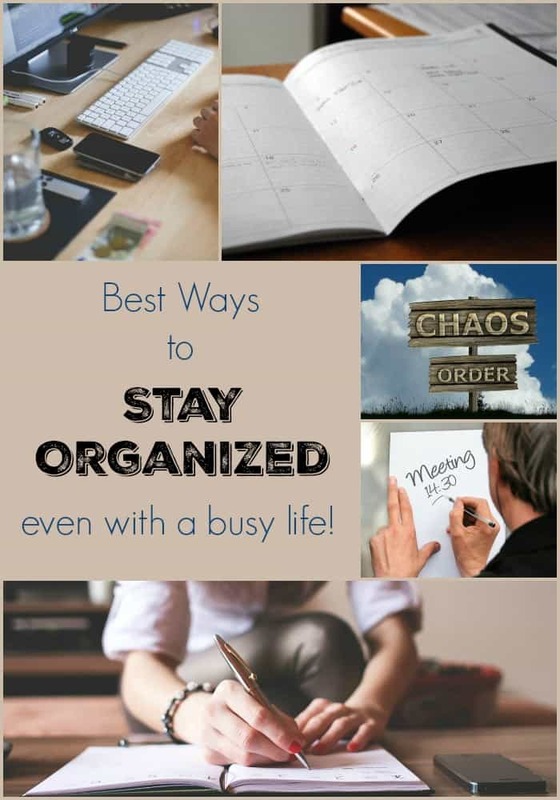 Since I am trying to REDUCE the stress in my life, I decided to start looking at the best ways to stay organized this year. With the holidays fast approaching, I need to get my life in order before holiday chaos strikes! Getting organized isn’t always easy. Like most moms, I get pulled in a thousand different directions every single day. Not only to I have to keep myself organized but I am also in charge of the kids and husband. Sure, they are pretty good at organizing themselves most days, but I still need to keep on top of their activities and to do lists. And that takes a fair amount of time and energy! A cluttered house is a great way to lose things like soccer balls, lists, and that oh so important paper you need to turn in to your boss. Ditch the clutter in your home for a more organized life. Make it a goal to declutter your home room by room throughout this year. How do you get started decluttering? Designate a spot for incoming papers. Invest in a wall mounted command center. People have a ton of paper clutter. Keep it contained to stay organized. Get rid of things you don’t use. Tackle one item at a time. Don’t tackle more than one small area at a time. Increase storage in rooms that have too much stuff. Look for coffee tables with drawers and ottomans that have storage space inside. Set a ‘one in, one out’ rule so no NEW clutter enters your home. Pick up 5 things, and find places for them. Do this every single day. Decluttering your home is seriously one of the best ways to stay organized. It is hard to organize your home when you are inundated with too much stuff. Check out my post about easy home organization tips for more information on staying organized. There is only so much one person (or one family) can realistically do before things start falling through the cracks of life. One of the best ways to stay organized this year is to cut back on your responsibilities and your kids activities. Say no occasionally to the PTA or the church committee. Say no to one more kid activity when they already have 3 that keep you far too busy. Choose a few nights a week where you go absolutely nowhere so you can sit down at your desk and go through your to-do list. If you are concerned that your kids are missing out on life in your quest to get more organized, don’t worry! Check out this video from ABC News on over scheduled kids. 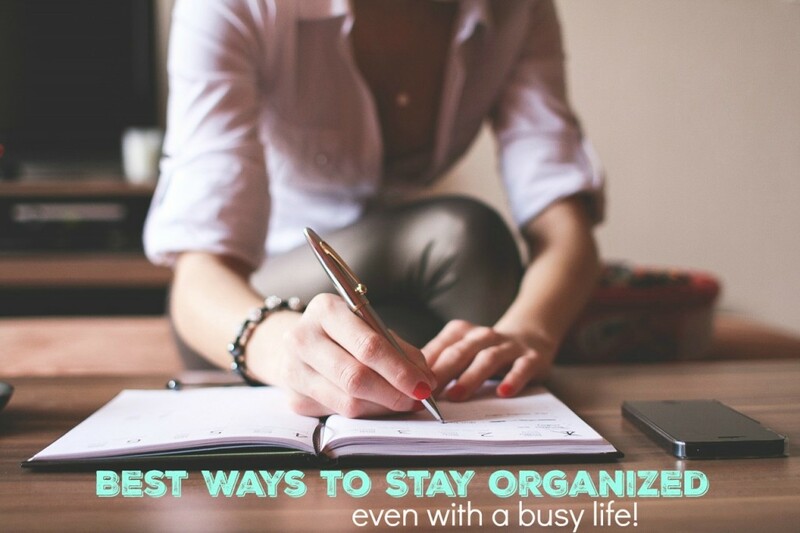 Learning how to organize yourself means that you need more free time in your schedule for YOU! It is easy to get sidetracked when you are trying to get organized. You start to gather a load of laundry, realize you forgot to water the garden, pass the dog on the way outside and decide she needs to be brushed and never actually get back to finishing the laundry. Choose a task from your to-do list and actually DO it…until it is completed. Then, move on to the next task. One of the best ways to organize your life is to focus on the task at hand. Don’t count on your mental to-do list when you have so many things in your head to think about. Memories lapse and as a result, you may forget something important. Write down the things that NEED to get done every day. And don’t be vague about it. ‘Clean the house’ is too generic. ‘Change the sheets’ gives you a specific task to tackle and you can then cross that one thing off your to-do list. Some people like to use technology and digital calendars. Personally, I like a paper agenda book that I can look at every time I enter the kitchen. Try several methods and see what works for you. Start a bullet journal to help keep you organized if you love to be artistic and creative with your to do lists. If you are a mom, chances are you have kids and/or a significant other living in your home. You are NOT alone and therefore, do not have to tackle every chore on your to-do list by yourself. Give each child and your partner a list of things to do and let them do it. No, it won’t be perfect. There will be smudges on your mirror and dust bunnies in the corner. But, one of the best ways to stay organized at home is to lighten your load. Therefore, give up your need for perfection on your quest for an organized life. No matter what you find on the Internet, the best ways to stay organized are the ones that work for YOU. Try out new techniques and set goals. See how each new method works for you personally. Check out Zen Habits for more ways to stay organized this year. Share your own best ways to start organizing yourself this year!